The Brompton Urban Challenge is two-wheeled folding bike adventure in Melbourne. You'll be asked to explore the city and interpret clues and hints. You'll record your successes by photograph and then share them with the wider world by social media or email. There will be a variety of prizes for contestants, but the most important thing will be to have fun! Exploring, Scavenging, and Folding - the Brompton Urban Challenge has a bit of everything for you and your team. Bikes - Bicycles other than Bromptons are welcome to join the event, but any non-Brompton riders must be accompanied by a Bromptoneer. Teams - The Challenge is an event for teams of 3 riders. All registrations are individual, but if you wish to specify another rider or 2 that you'd like to be teamed with, you can let us know as part of the registration process. Otherwise, we'll put teams together and you'll make some new friends with fellow Bromptoneers. 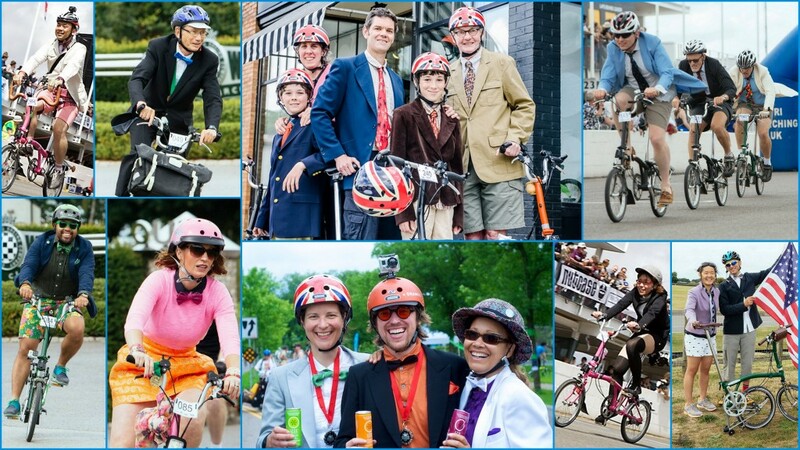 The opportunity for sartorial vivacity is a key part of any Brompton Championship, and we encourage all riders to get in to the spirit of the day. This event will take place rain or shine, so dress accordingly.